A totally new way of looking at flooring. A few years ago, we decided it was time for a change. 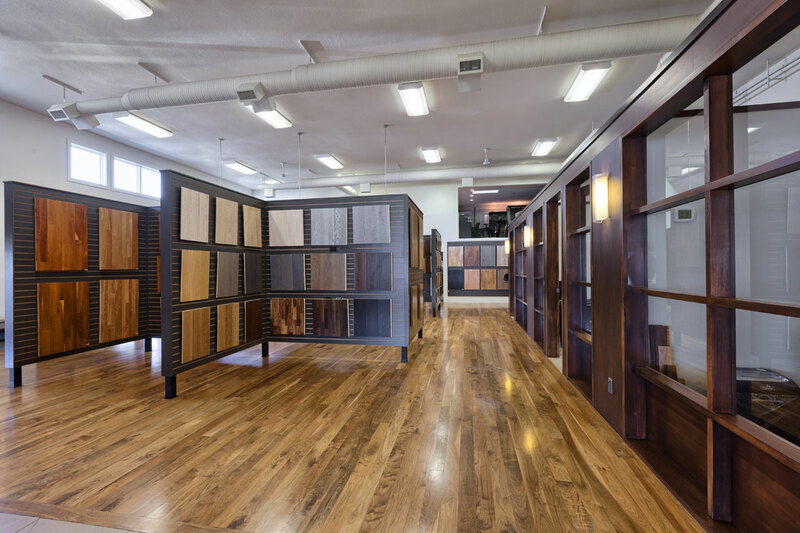 In our Okanagan Hardwood Flooring showroom, we created a gallery of large hardwood, laminate and cork flooring samples, so that our customers could visualize what a finished floor would look like in their own home. Our carpet and vinyl is showcased in an adjoining showroom, with hanging wall samples and easy-to-view sample kiosks to browse through. 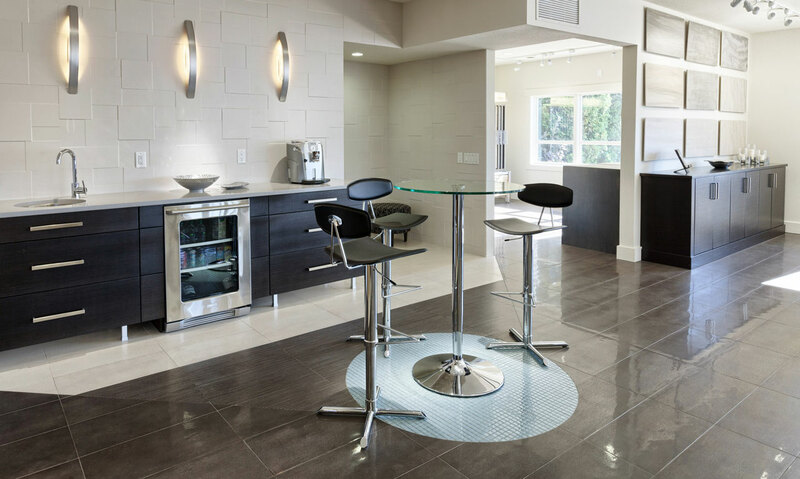 Our design center has a relaxing sitting area and table to lay out your plans and samples, and a wall mounted screen to view our portfolio of floors, or browse through our website and create virtual designs. 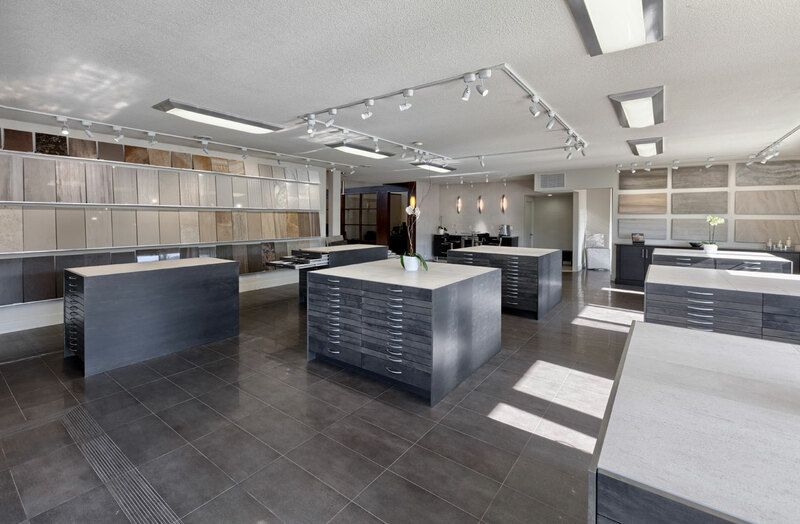 Our Okanagan Tile showroom has been designed with beautiful wall samples of tile and natural stone, plus pull-out drawer units with hundreds of tile and stone products to choose from. 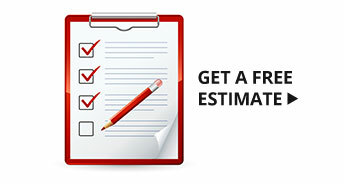 Ceramic, porcelain, natural stone, stainless steel, glass, mosaics, trims, grates – everything you need at your fingertips. Take your time browsing through our galleries and enjoy a latte or juice while you wander. 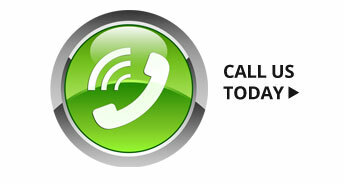 When you are ready, our sales staff will answer any questions you may have. Buying a floor should be an enjoyable experience – and both Okanagan Hardwood Flooring and Okanagan Tile Company are committed to making sure it is. 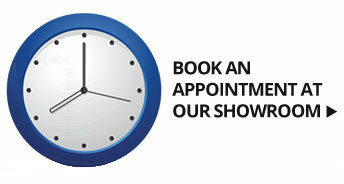 Click below for the latest video tour of our amazing showrooms.